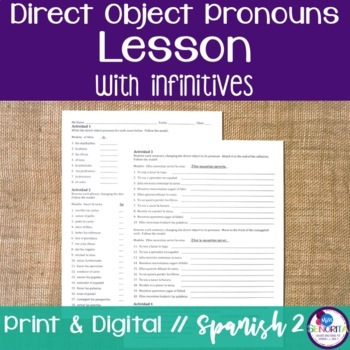 This zip file includes everything you need to teach a lesson on direct object pronouns with infinitives. 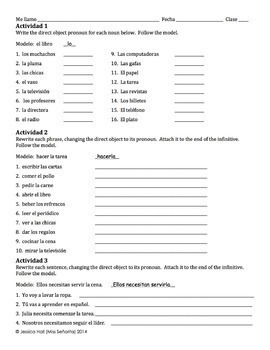 The powerpoint reviews what direct object pronouns are in English and then in Spanish, and then shows how they work with infinitives. 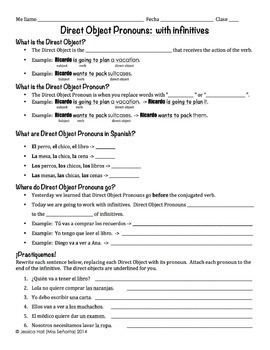 It explains that the direct object pronoun can go before the conjugated verb or attach to the end of the infinitive. 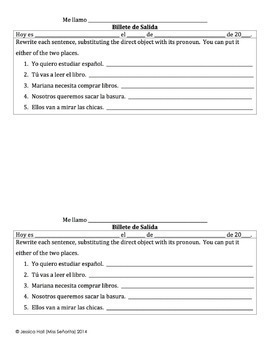 Then there are sentences for students to practice rewriting sentences substituting the direct objects with their pronouns. The notes page has blanks in it for students to follow along with the powerpoint.